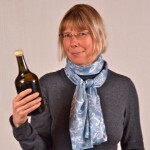 Wink is a wine educator, writer and editor with over 30 years experience in the wine world. In 2014 she self-published her first book, Jura Wine, which won the André Simon Food and Drink Award for Best Wine Book 2014 and was shortlisted for Best International Wine Book in the Louis Roederer Wine Writers Awards 2014. As an educator, Wink’s best skill is in presenting entertaining and educational wine events with well-chosen wine selections always an important feature. She will design and present wine tasting events for corporate and social groups, wine clubs, or indeed for an informal house party anywhere in the UK or within easy reach of her second base in eastern France, one hour from Geneva. A founder member and first Chairman of AWE, as well as previous editor of AWE Inspiring News, Wink believes passionately in educating about wine in an entertaining, informative and professional way. She lectured for the WSET Diploma Course over several years on various subjects including the Loire, sparkling wines, North & South America and on South Africa. Today she runs consumer and corporate tasting events focussing on these and other areas. Wink is known for her enthusiastic wine tasting presentations and offers a wry, down-to-earth viewpoint. Over the years she has accumulated a wealth of amusing, personal stories during her travels through wine regions. She particularly enjoys sharing her experiences from South America and has visited Chile, Argentina, Uruguay and Brazil several times. She also enjoys presenting wines from eastern France including her speciality regions of Jura and Savoie. Wink wrote the Jura & Savoie chapter for Tom Stevenson’s Wine Report and has contributed on Jura and Savoie to many wine books including Jancis Robinson’s Oxford Wine Companion, The Wine Opus and Neil Becketts’s 1001 Wines You Must Try Before You Die. She has also contributed to Le Cordon-Bleu Wine Essentials, The Global Encyclopaedia of Wine and Time-Life’s Wine Guide as well as writing articles for World of Fine Wine Magazine, Decanter, Drinks Business, Harpers Magazine and many more. Wink was acting editor for Wine-Searcher’s magazine in 2014/15, and still contributes regularly; she was the editor of the Circle of Wine Writers newsletter, Circle Update from 2015 to 2017. She is preparing a book on Wines of the French Alps (Savoie, Bugey and beyond) for publication in 2019.